The photo was taken in the late hours of a summer day. 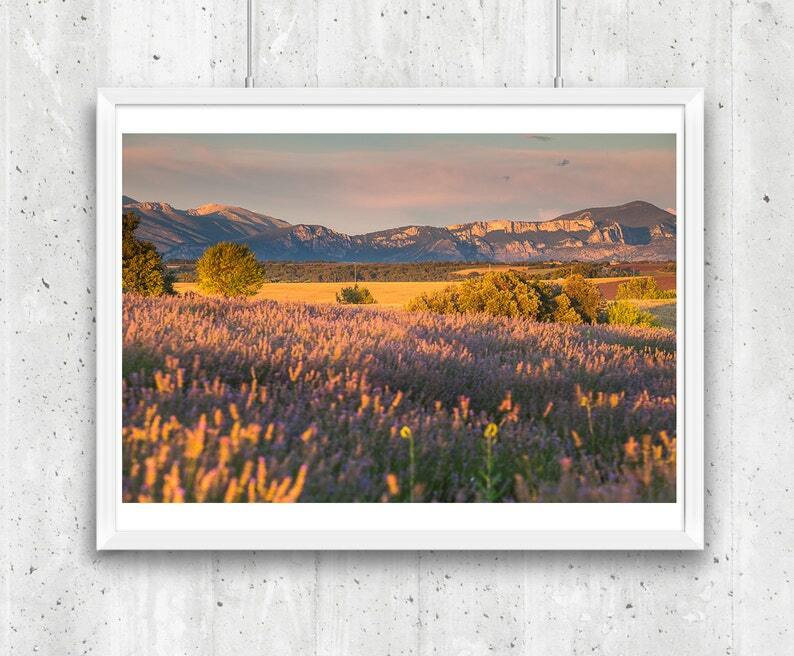 The photo depicts the iconic Plateau de Valensole in Provence France, with lavender fields in the foreground and magnificent mountains in the back. The light in Provence never ceases to amuse photographers and tourists, that came in thousands to catch the best scenes. 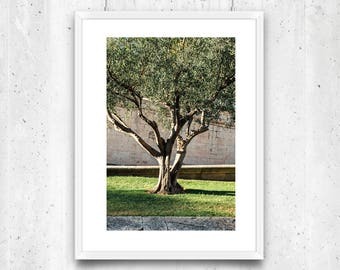 The photograph is professionally printed on a heavy Glossy professional Fine Art Photo Paper with striking and distinctive eye-catching look, sharp details, vibrant colors and state-of-the-art image stability. Processing time for 16x24 and 24x36 prints is 3-5 business days.